U.S. soldiers are shown in this undated file photo. 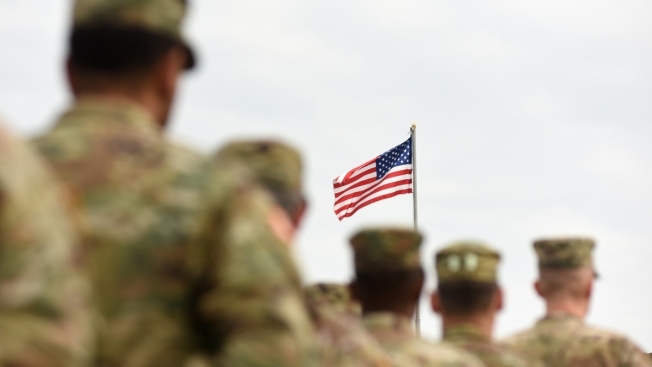 The Department of Veterans Affairs announced Thursday that it would pay veterans the full amount of benefits they are due under the Forever GI Bill, NBC News reported. That announcement came just one day after two aides told NBC that VA officials privately told congressional staffers the department would not retroactively pay veterans whose checks were less than they were owed because of VA's ongoing computer problem. The department was sharply criticized and questioned about the potential policy during a Thursday hearing. VA Secretary Robert Wilkie issued a statement in the afternoon saying that the student veterans would get their full monthly housing stipends in accordance with the Forever GI Bill.